For gutter replacement service that will protect your Columbus, OH, home against water damage, choose 31-W Insulation. Since 1972, we have been the home improvement company people have depended on to help make their homes more comfortable and functional. Our A+ rating from the Better Business Bureau attests to our solid reputation for reliability, performance, and customer service in all of the services we offer, including gutter replacement. You can count on us to stand behind our work because all of our services are performed by our own trusted and highly trained employees, never subcontractors. When you hire 31-W Insulation to install new gutters on your Columbus, Ohio, home, you’ll get a gutter system that will efficiently direct rainwater away from your house. 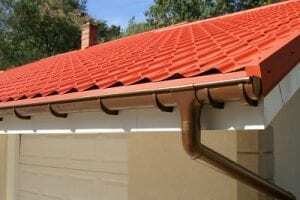 We proudly install durable gutters made by Spectra Metals. Because they lack seams, these aluminum alloy gutters are less prone to leaking and clogging when compared with traditional gutters. With our replacement gutter system, you’ll no longer have to worry about costly damage to your home’s structure or foundation as a result of rainwater spillover. No matter what color you choose, our team will cut the gutters of your new replacement gutter system precisely to fit the measurements of your home. Furthermore, your gutters will be covered by a 20-year limited manufacturer warranty to give you peace of mind in your investment. To learn more about the professional gutter replacement service we provide to Columbus, OH, homeowners, contact 31-W Insulation today.